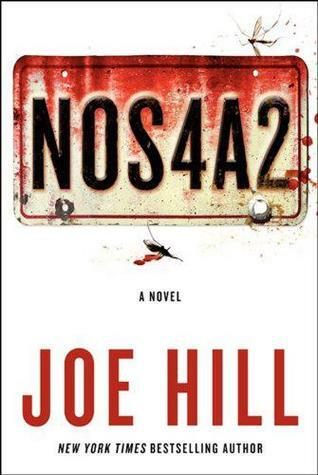 If you didn’t know, Joe Hill is the son of Stephen King. His father’s influence is clear in his writing and it felt very much like reading something written by King himself. And me being a big King fan, that’s good news! And if you’re wondering about the title, it’s pronounced like Nosferatu. But you won’t find any vampires, here. At least not in the traditional sense. It starts out strange and shocking and gets weirder as things go. Though the book is a little longer, the plot flies as fast as Vic does on her Raleigh Tuff Burner bike, with plenty of bumps in the road and plot twists to through you off course. We’re first introduced to the uber creepy Charles Manx as he’s “dying” in prison. He gets no less creepy as hear about him and Bing on their adventure to bring children to Christmasland—a place where they can be happy forever in a realm that exists in Manx’s mind. Then we meet Vic “The Brat.” Vic, the hero of the story, is tough and a little mixed up as she deals with her parents’ divorce and her strange ability to find things by traveling through a bridge that doesn’t really exist. Each of the characters are vivid and unique and messed up in their own ways. Like I said, it feels very much like King with its rich description and hint of fantasy in a here-and-now world. Hill’s writing is pretty much perfect. I want to be him when I grow up. As awesome as the story was, there were some parts that dragged a bit. For example, I don’t think we needed full details of what happened to Manx’s beloved car while he was “dead.” It just made things drag. That was really my only complaint. This story was wildly unique and enjoyable. Did you read it? What did you think? Thanks for this review, Denise. I’ll have to read it. It’s interesting how you mention the part about Manx’s car dragged….I remember reading Christine by Stephen King and was actually pretty impressed with the level of detail he provides about car engines, etc. I would argue that it contributed to the novel but that’s because the protagonist WAS the car. It definitely doesn’t sound like that’s the case in Nos4A2. I just finished Horns by Joe Hill a few months ago–I did a review of it on my blog that’s been getting a lot of traffic because they’ve made a film of it starring Daniel Radcliffe that’s due to be released on, wouldn’t you know it, Halloween of this year. Can’t wait to see it. I’m sure people are Googling it to death and I guess my review has been popping up on some results. Anyway, I won’t be shameless enough to just copy and post the URL here but again, my review of Horns is publicly available on my blog if you like. Thanks Joe! The scene I mentioned only dragged because it wasn’t with any characters in the rest of the book. There was one point in time where Manx didn’t have his car and it was about what happened to the car during that time, which to me, didn’t seem relevant. I never read Christine, but I can see why that would be important. I did enjoy the other details about the car, just not that part. I had no idea Horns was being made into a movie! The book sits on my to-read shelf as we speak. Now I’m even more excited to read it :) And Daniel Radcliffe!